It’s time to get your game face on! Not only is it time to ramp up your holiday shopping, but it’s also Games and Puzzles Week! Games and puzzles make great stocking stuffers and family games, so we put together a list of our favorite games and puzzles to give you a little gift-giving inspiration. Go Classic The 10-in-1 Classic Wood Game Center is a great way to enjoy quality time with your family and friends. A variety of traditional games inspire friendly competition. This attractive set has a chess and checker board on top, 2 reversible slide-out boards and a storage drawer at the bottom for game pieces. The storage drawer also doubles as another game board. 13″W x 12-3/4″D x 6-1/8″H. For ages 8 and up. 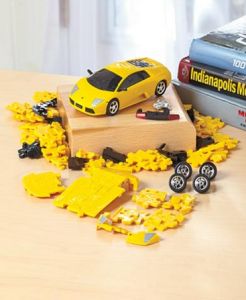 Go 3-D Build your favorite car with a 1:32 Licensed 3-D Car Puzzle, then play with it! Detailed model is fun to assemble, and it also encourages kids to develop problem-solving skills. Approx. 5-1/8″W x 2-1/2″D x 1-5/8″H. BMW, 60 pieces. Lamborghini and Mini Cooper, 64 pieces. Plastic. For ages 8 and up. 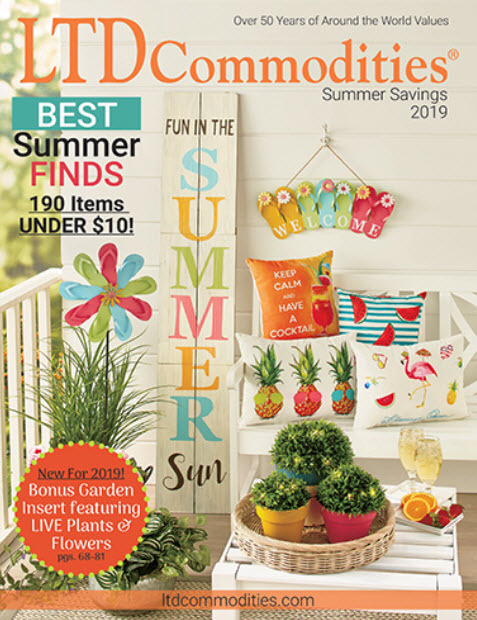 Go Complex The whole family will have a blast playing with the Find It Brain Teaser Game. This activity will keep everyone happily preoccupied on a rainy day or long car trip. 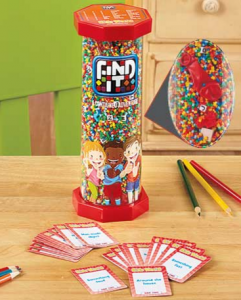 A list of 48 items on Kid’s World and 40 items on the other choices’ lids gives players specific objects to find in a mass of colored pellets. Participants can shake, twist and tap the cylinder to complete their task. Additional obstacles presented on cards, such as a time limit, are added to the game to complicate your mission. The first person to find all the necessary treasures wins the game. Plastic. For ages 6 and up. Go Double-Duty Add a new twist to the way you give gift cards or cash! 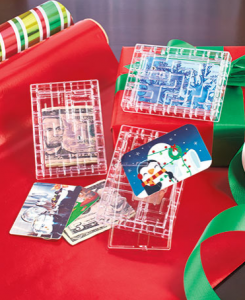 A Set of 3 Gift Card Mazes challenges the recipient to guide the ball through the 3-dimensional, 2-level maze to the proper position to open the door and be rewarded with the gift card. Can also be used to hold cash, checks and more. 3″W x 4-1/4″D x 5/8″H. Plastic. 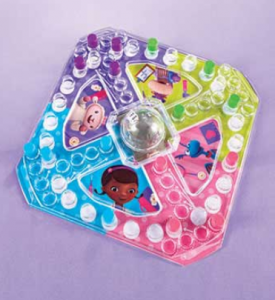 Go Home Family game night will be full of character with a Licensed Pop-Up Game. The race is on as you try to be the first player to get your four movers from start to home. 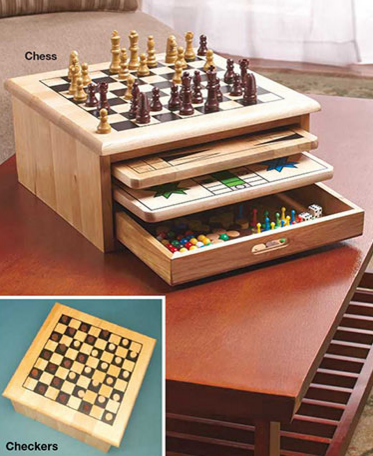 Includes 16 movers and a game board (10-1/8″ sq.) with dice popper built in. Plastic. For 2 to 4 players. For ages 4 and up.